I am currently on a 2500-mile cross-country road trip with my best friend (more on this in a post next week). In addition to visiting new cities and states, I wanted to incorporate a few New Things into the journey (more posts on this later too). One of our first stops was in beautiful Kansas City, Missouri. 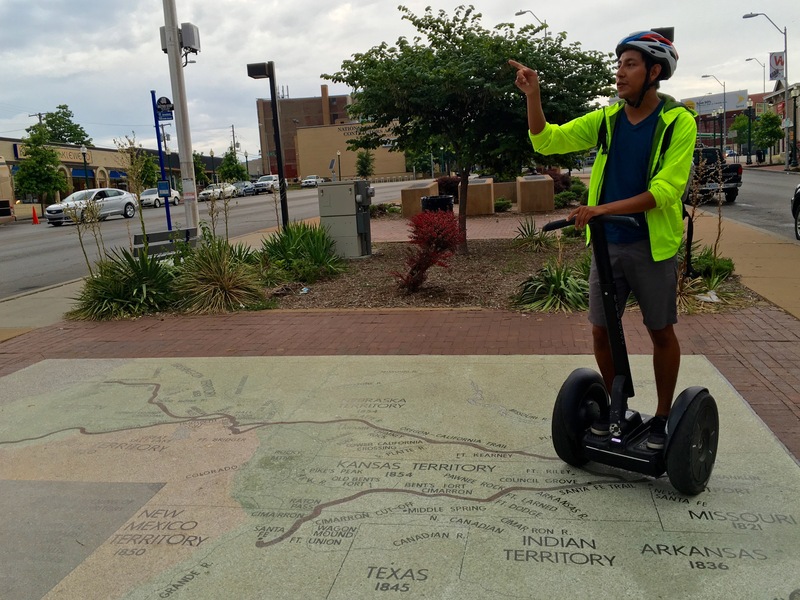 While planning our visit we discovered a Segway tour of the town and we thought it would be a fun way to see the city and cross something new off of the To Do List. 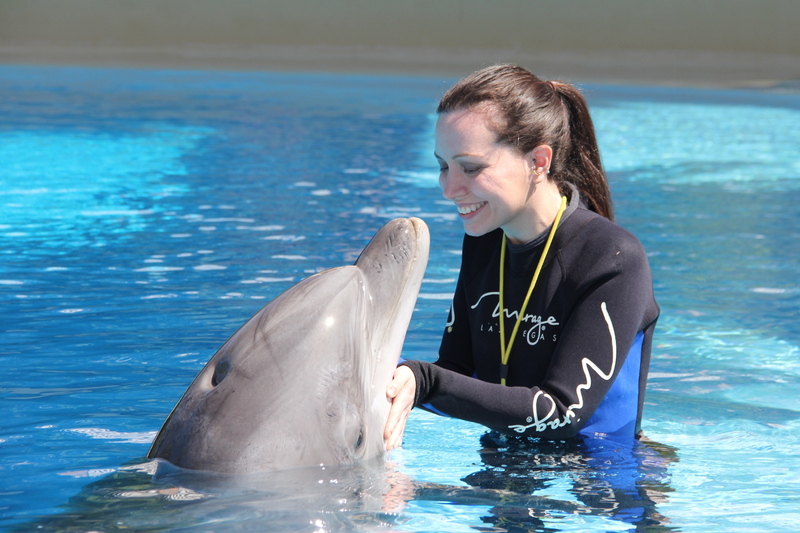 I presented the idea to my friend Jill, and upon looking at photos of the tour she said, “Awe. We have to wear helmets like a bunch of dorks.” When the trip was threatened with rain, she voiced another concern. “If we have ponchos and helmets we are going to get beat up by somebody.” Fortunately, the storms passed us by and nobody got beaten up for being a dork. The tour began with a brief video and riding lesson. It took me a few minutes to get the hang of it and to not spin in circles when I was trying to stay in one place. But, I eventually got the hang of it. It is pretty easy to maneuver and it moves with the weight of your body: lean left to go left, right to go right, forward to go forward, and back to go backwards or stop. 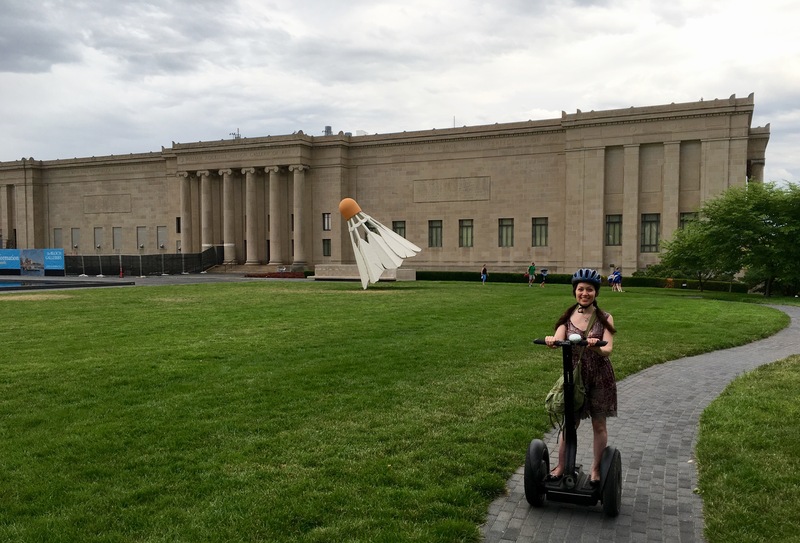 The tour took us through Westport, Country Club Plaza, and past several art museums. 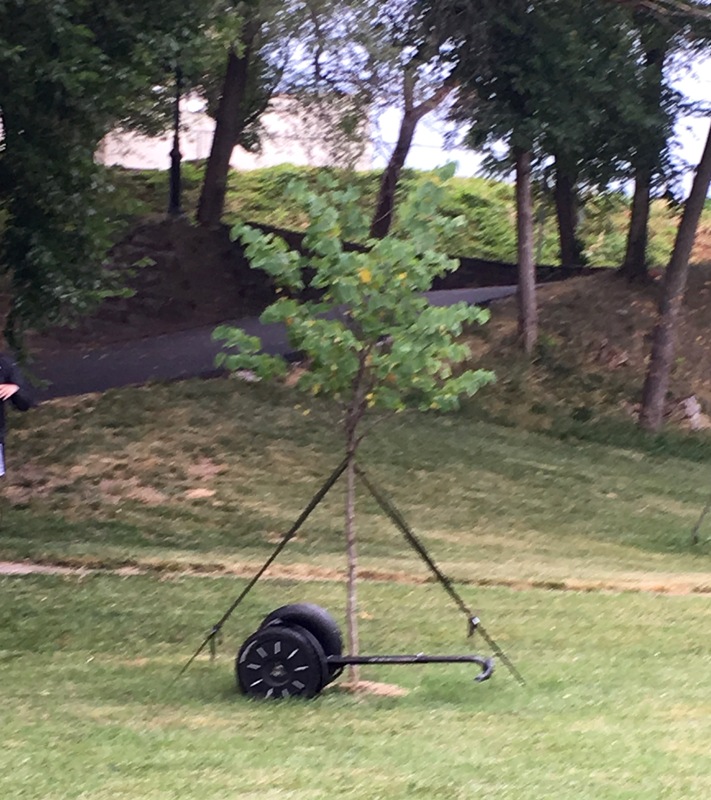 Somehow Jill flew off of the path and her Segway went into a tree. Jill: Don’t take my picture you f***ing b****! Jill: I can hear you laughing! Jill: Stop laughing at me! You are so mean! Jill: You better not put this on your f***ing blog! I was laughing so hard that this was the best picture I got. Don’t worry, she’s fine. Other than Jill’s tumble, the tour was a lot of fun. 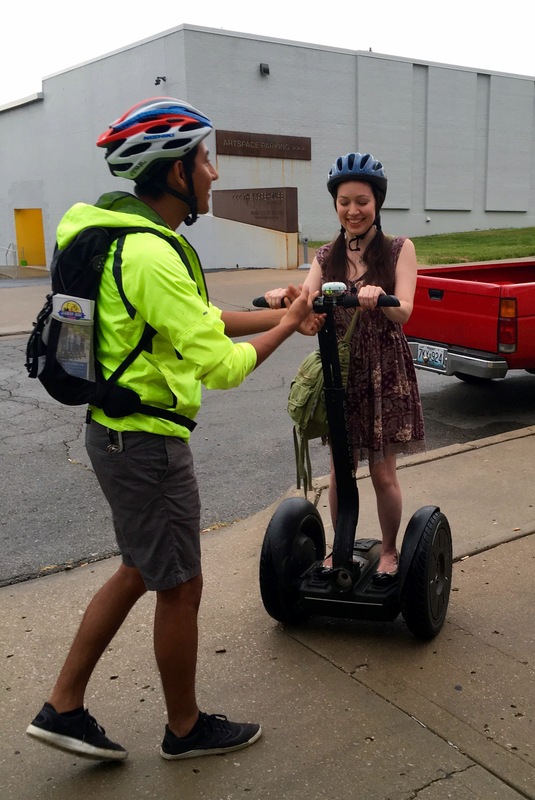 Whoosing around on the Segway created a nice breeze on an otherwise hot and humid day. 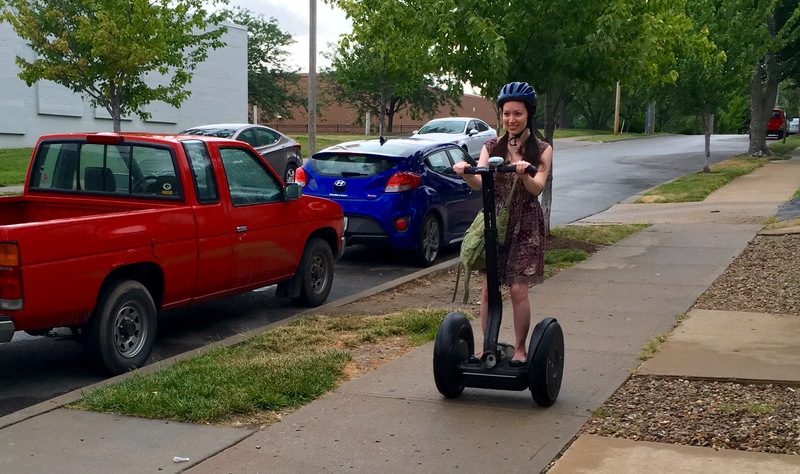 Not to mention the joy of zooming down the sidewalks past all the bipeds who haven’t yet experienced the Segway life. I also learned Segways have an added value. If a creepy guy starts hitting on you, you can just quickly scoot away. No more awkward uncomfortable conversation with strangers, ladies! Overall analysis: Walking is for the birds. 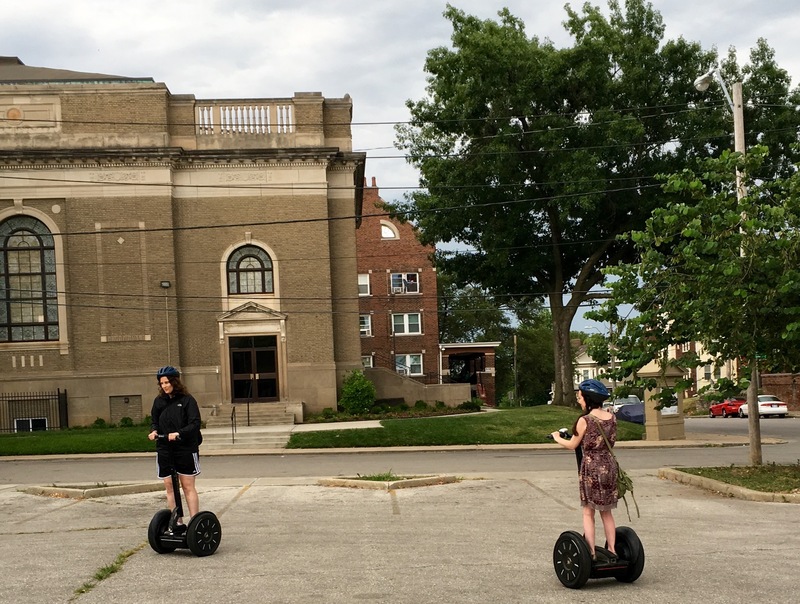 Segways are the way of the future. 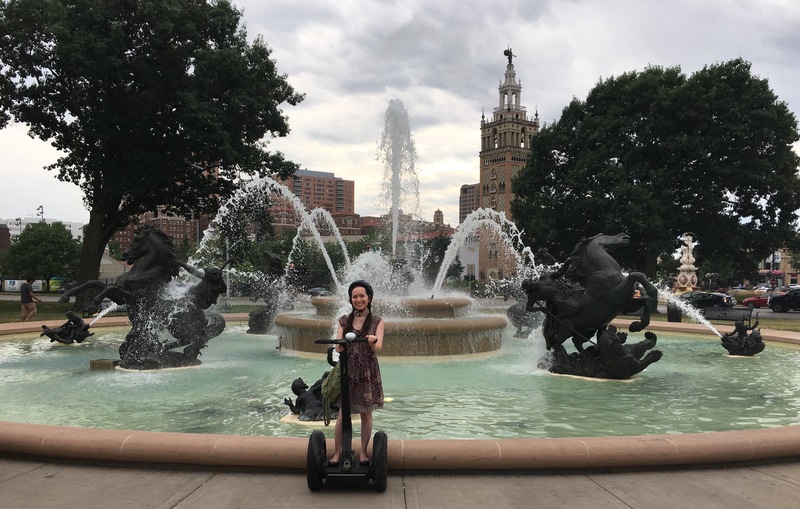 I did a Segway tour of DC one time… it was so fun!!! I am a full supporter of the Segway life. Also I lived in KC for a couple years, I hope you enjoyed it! I should have given you stuff to do. But I think you chose a nice way to see some of the best parts of the city. In light of Jill’s comments after her fall, I wonder what President Bush yelled at the Secret Service agents when he took a spill. Jill at least is in famous company.